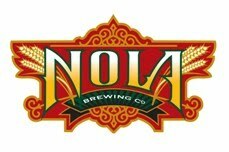 The BR Beer Scene: Coming in February - Stone / NOLA Collaboration Beer! 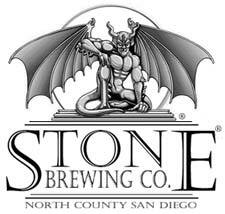 Coming in February - Stone / NOLA Collaboration Beer! I'm sure that any of you who read any beer forums or have Facebook and follow the local breweries/bars already know this, but get ready for some Stone Brewing / NOLA Brewing collaboration beer! It's going to be an Imperial Porter that is brewed with satsuma orange peels and Steen's molasses. The name will appropriately be "Pour Me Something Mistah" which I think is great despite the length. Look for a release party on Feb. 11th (if all goes to plan, and that's my birthday, so thanks Stone and NOLA for that awesome present!) at Avenue Pub, then hopefully the beer will make its way to local tap lines. It will only be available on draft it seems, so that limits the options for drinking some, but I'm going to make damn sure to try it. Stone has been one of the best craft beers in our market since they entered a couple of years ago so it's extremely exciting to see them teaming up with one of the best local breweries. This is nothing but a good thing for Louisiana craft beer. Cheers! Just stumbled across your blog and I like what I see. I'm super excited for this new collaberation. Beer takes a while to make its way to Ohio, so please post a review on it when it comes out. Keep up the good work! Raise A Glass - Whiskey Tournament Sweet 16! Looks Like The LSU / Tin Roof Beer Is Off. Beer Business Daily - What's In Store For 2012?